There are three key ingredients that make the perfect party – great food, free-flowing drinks and a top venue. Celebrate your special occasions with Fuller’s, and you’ve got it all covered. Of course, good company is pretty important too. So book a table for your nearest and dearest at your favourite Fuller’s pub, or hire your own events room and extend the invitation to a wider group of friends. Many of our party venues are available for an exclusive private hire, too. At the opposite end of the scale, you can opt for something a little more intimate, with a number of our party venues offering elegant private dining experiences that promise the very best in personal service. Fuller’s pubs and bars make perfect venues for birthdays, leaving dos, wedding receptions and christening parties – and even when you’re not celebrating special occasions, we bring the party to you. 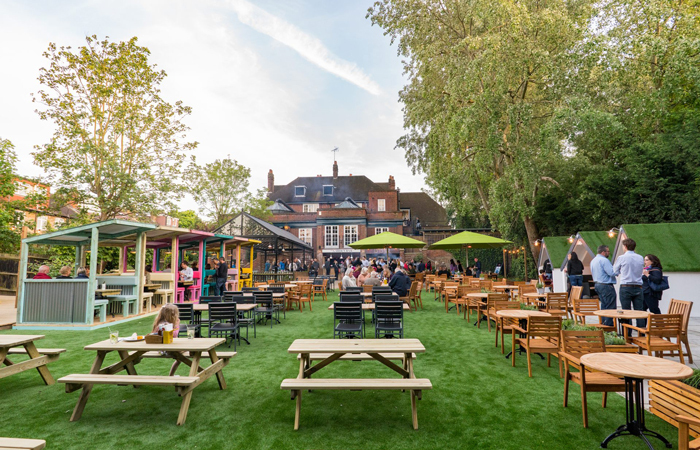 Our pubs hold themed events throughout the year, from live music nights and comedy performances to quiz events and live sport, with our NFL events particularly popular over recent years. Whatever the reason for your visit, let the Events Team make the occasion even more memorable by creating a bespoke party package especially for you!